How Immigrants Can Obtain a Skilled Migrant Visa in Australia? The occupational skills shortage in Australia is expected to continue for a long period of time. This is one of the main reasons why Australia has become a top destination for immigrants all around the world. People constantly look for opportunities to move to Australia and settle on a permanent basis. However, the number of people applying for Visa is huge and this can make obtaining a work permit difficult. Obtaining a skilled migrant visa can allow immigrants to settle in Australia permanently and enjoy the benefits that come with it. However, this can be a tedious process and involve several complications. The Department of Immigration and Border Protection has made various ways for immigrants to settle in Australia. Through the pathways designed by this department, immigrants can get work in Australia. A skilled migration visa holder has the rights to work and live permanently in any part of Australia. However, there are different forms and categories of the skilled migration visa. This form of Visa is nominated by a recognised and legally acceptable employer in Australia. The Employer Nomination Scheme – Subclass 186 Visa is an example of the employer-sponsored visa. People who have an employer-sponsored visa can apply for Australian Permanent Residency under three major streams – Agreement streams, Temporary Residence Transition streams and Direct Entry stream. Unlike the employer-sponsored visa, the independent point tested visa doesn’t require any sponsorship from a recognized Australian employer. Any person willing to settle in Australia can apply for the independent point tested visa through the skillset online system. The skilled independent subclass 189 visa is the one and the only example of the independent point tested visa. 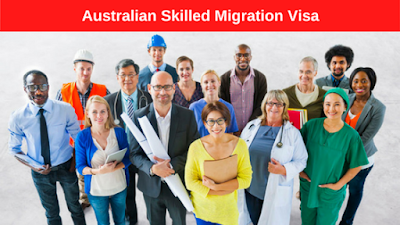 To obtain this type of skilled migrant visa Australia, an applicant needs a nomination from a territory government agency or a state. The skilled nominated subclass 190 visa and the skilled regional subclass 489 Visa are examples of this type. Apart from the required state nomination, the application process for obtaining this visa is the same. People interested in migrating to Australia can face a lot of legal problems, therefore hiring migration lawyers is essential. Australian Migration Assistance, which is registered and trading as Malik Lawyers in Australia, provide the best legal assistance to immigrants and help them with all their needs. People interested in obtaining the skilled migration Sydney visa can approach the firm and get the required assistance. Hiring migration lawyers can be very advantageous for immigrants and can help them settle in seamlessly. At Australian Migration Assistance, we have a team of highly skilled and experienced immigration lawyers who can help immigrants settle in comfortably. Legal issues in immigration law can extend from acquiring the proper visas and getting naturalized status to facing relegation and removal proceedings. All these can be a bit overwhelming for a layman, and so it takes an expert and skilled immigration lawyer to deal with various legal issues that immigrants may face. These lawyers can help immigrants to settle comfortably by assisting them in numerous ways. 1. The general rule for hiring any lawyer is to make sure that they are authorized and licensed to practice law. All these information can be verified on most of the state bar websites. Various sites will also ask a lawyer to post their disciplinary history and area of practice. This information will first tell you if the lawyer has had complaints in the past. If they have been disciplined by the bar for unconcern to client issues then he is not the lawyer for your immigration case. 2. 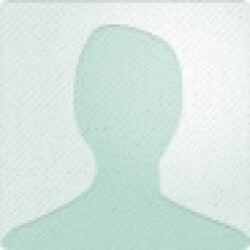 The second information you should know is the practice area of the lawyer. If they only mention on the state bar website that they usually do corporate and family law but does not post about immigration law, you should ask more questions before you hire them. 3. Many lawyers use a consultation as a chance to get you to hire them. But keep in mind that this is your opportunity also to evaluate them. If they seem to be over-selling his or her skills and promising very quick results, you may need to visit some other Australian immigration lawyers before making a decision. 4. In the end, be cautious of scams. Many of them may talk like Australian visa lawyers, but unless they are licensed to practice law, they can’t do that. You can find some people offering notaries services, but they are not lawyers and cannot give you legal advice. Australia is one of the best countries to live in. The country has several top-grade educational institutes, healthcare centres and other facilities necessary for the welfare of the people. On top of that, the economy is great, making the Australian dollar one of the safest currencies in the world. These are some of the many reasons why a large number of people migrate to Australia. Life in Australia can be prosperous if the rules and regulations imposed by the government for immigrants are adhered strictly. Since this rules are very complex, immigrants usually require the help of Australian migration lawyers. Hiring lawyers for representation in legal matters is always a wise move. Lawyers have the necessary knowledge of the law and can think on their feet much more effectively. Hiring a migration agent Sydney can help immigrants in dealing with the migration authorities and maintain a suitable legal stance. Migration agents can perform the necessary tasks on the behalf of immigrants and assist them through the process. Australian immigration rules and regulations are quite complex. Failure to follow these rules and regulations can have severe repercussions. Immigrant lawyers can help with understanding these complex regulations. This can make the transition to a new place effortless and immigrants can get on with their lives comfortably. Most immigrants struggle when selecting the visa category and immigration program. The guidelines specified by the authorities can be hard to absorb and immigrants often end up choosing the wrong program. However, with the help of immigration lawyers, this problem can be avoided. Immigration lawyers can help with choosing the right program and significantly increase the chances of succeeding. In order to avoid any undesirable circumstances, it is important for immigrants to hire a reliable agency. One of the best immigration consultations is provided by Australian Migration Assistance. They are registered and trading as Malik Lawyers and is backed up by a group of elite migration lawyers who have dedicated their lives to the welfare of immigrants. The lawyers working at this firm are adept and well aware of the common pitfalls. Any person in need of immigration agent Sydney can approach them and get the best legal representation. Reasons Why Immigrants Should Hire the Best Australian Visa Lawyers! In Australia, federal immigration portfolio was first established in 1945. This change was made to regulate the post-war migration program. Statistics show that more than 7.5 million people have migrated here since then. This figure may lead you to believe that immigrating to Australia is easy. However, this is not true. The government has established several rules and regulations that immigrants have to adhere to before entering the country. To prevent these official procedures from becoming a barrier, it is important for immigrants to seek the assistance of Australian migration lawyers. A migration lawyer can help immigrants in reaching where they want to be. Many times the complicated procedures involved can pose challenges that are difficult to overcome. In such a situation, lawyers can manoeuvre regulations and permits to get what immigrants desire. Despite all the efforts, sometimes immigrants can’t get around the regulations. In such a case, migration lawyers can help immigrants in exploring the available options. Lawyers can help immigrants in acquiring work permit, citizenship, permanent residency easily. If something doesn’t work out in the favour of immigrants, then lawyers can help in achieving the alternative objectives. Even after getting the status of a permanent status, immigrants still need to adhere to the special laws that apply to them. These laws are very complex and people often forget to follow them strictly. Failing to follow these laws can lead to deportation before the visa is expired. Therefore, to prevent such incidents immigrants should hire Australian visa lawyers. Migration lawyers specialise in this sectors and can help immigrants with their problems. Most immigrants dream of getting a citizenship, however, this can be a daunting task. To achieve this objective, immigrants must seek help of migration lawyers. These lawyers have in-depth knowledge of all the factors that determine whether an immigrant gets a citizenship or not. Lawyers can make the process a lot easier for immigrants. If you are an immigrant in Australia and need legal assistance, then you can approach Australian Migration Assistance (Registered and Trading as Malik Lawyers). They have a team of highly qualified and skilled lawyers who can help immigrants settle in comfortably. Immigrants can hire an adept immigration agent Sydney through this firm and get the necessary assistance. This firm can assist immigrants with all types of visa services. They have immense experience in all sectors of the Australian law and are well aware of the pitfalls and roadblocks. Seeking immigration assistance from this firm can help any foreigner feel at home in Australia.